Windows 10 is an operating system that really supports personalization. And an aspect of this is videos. Do you know you can set lock screen videos for your Windows 10 device? Most Windows 10 users are video-savvy and it makes sense for them to seek the best editing software solutions in the market. That is exactly what this post is all about. We’re going to walk you through the top 5 video editing software for Windows 10 – some free, some freemium, some paid. The choice is yours. Movavi is a solution that’s especially designed to offer a robust balance of values and features. It is the ideal option for content creators who are just starting out. Crop, trim and join video segments with a host of robust editing tools from a dedicated panel above the timeline. Import and export video content in over 30 formats. Directly upload videos to your YouTube channel. Record screencasts, videos on the go and even audio to overlay the raw footage. Experiment with dozens of professional quality filters, transitions and special effects that are applied and removed in just a few clicks. The best thing about Movavi though is the speed of processing. It really leverages the acceleration packed into the Windows 10 OS and offers a breezy way to polish video content. You may think, “Windows Movie Maker is the logical first choice for Windows 10 editing!” and you would be right. Because hardware and solutions from the same developers do tend to work better together (Yes! *hinting at Apple*). 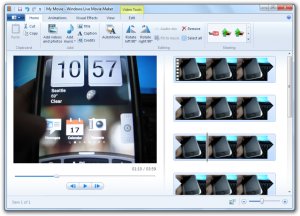 But in this case, the Windows Movie Maker is no longer a front-runner in the world of free, easy editing solutions. Its glory days are gone and doesn’t come baked into the flagship OS. However, it shouldn’t be ignored. Avidemux is a fairly popular name in editing circles. And even though the free version is limited in terms of what it allows editors to accomplish, the paid version is adequate, despite the shabby interface. A big plus in favour of Avidemux is the fact that it is easy to install and the learning curve isn’t steep. This, in conjunction with powerful scripting and workflows, let you automate bulk edit tasks. Other than that, the ubiquitous features of cutting, trimming, joining and application of rudimentary filters are present. If editors are looking to extract BMP images from videos, Avidemux gets it done. LightWorks is the savvy tool that can thrill editors looking to refine their skills. It is the tool behind big screen triumphs like Hugo and The Wolf of Wall Street and is respected as a comprehensive solution. But LightWorks also demands patience and persistence. It is not mastered in a day and handling multiple videos or floating screens often becomes a challenge. 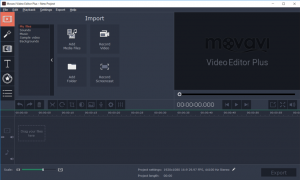 The VSDC free video editor is a solution that lies somewhere in the middle of the two opposite ends of the editing platforms spectrum. It has a lot more to offer than online editing alternatives or the video footage convertors that also double up as reel trimmers. But, it is definitely not as busy as some of the pricier tools with bells and whistles. 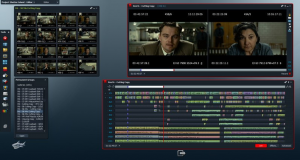 The flexibility to add objects to any position on the timeline or non-linear editing. VSDC falls short of perfect because of its interface. It is cluttered to say the least and feels clunky – definitely not a combination beginners appreciate. Windows 10 users, do you agree with the list? What solutions would make it to your compilation of top 5 video editing software for Windows 10?